Every time you step aboard an airplane there’s an excellent chance that a piece of innovative NASA technology will be flying with you, helping to ensure you have a safe and efficient flight. It might be found in the upturned winglets you see at the tip of the wing, or within the composite material used to build part of the aircraft structure, or hidden inside the increasingly fuel efficient and quiet jet engines slung beneath the wings. And whether or not you flew today, it’s likely that some product you recently used was once flown as cargo on board a flight whose pilots relied on NASA-developed computer software tools that help air traffic controllers safely move airplanes through the sky. Your life and mine would be very different without the benefits of flight. In fact, thanks in part to the work of NASA’s aeronautics innovators, aviation accounts for $1.3 trillion of U.S. economic activity annually and generates more than 10.2 million direct and indirect jobs. Those are some big numbers, and they are worth celebrating. That’s why NASA this week joins with the rest of the aerospace industry in marking National Aerospace Week, an annual observance that recognizes the enormous contribution the aerospace industry makes to America’s economy, global competitiveness and national security. NASA’s aeronautics experts understand how important that contribution is, and I can promise you that we are doing everything we can to ensure this nation remains the world’s leader in aviation. To help us do that, during the past two years we’ve taken an in depth look at the important role that aviation plays in a world of incredible economic, technological and population expansion. Three industry teams spent 2011 studying how to meet NASA’s goals for making future aircraft burn 50 percent less fuel than aircraft that entered service in 1998, emit 75 percent fewer harmful emissions; and shrink the size of geographic areas affected by objectionable airport noise by 83 percent. The changing world has led us to adopt an exciting new strategic vision for NASA’s aeronautical research efforts. It’s a vision that will guide us in choosing our long term investments in aeronautics innovation, all of which are aimed at supporting our current and future civil aeronautics workforce, companies, and passengers. It addresses global emerging trends leading to key drivers that are changing the face of aviation during the next 20 to 40 years. Those drivers include significant growth in planet-wide demand for air mobility, mounting environmental concerns related to climate change and sustainable energy sources, and the convergence of technologies ranging from new materials to embedded sensors. In response, we’re continuing to develop tools – on board aircraft, in air traffic control towers, or across the entire system — that will help manage predicted growth in global aviation operations safely and efficiently. We’re continuing to explore, test and develop technologies for new aircraft that have dramatically less impact on the environment. 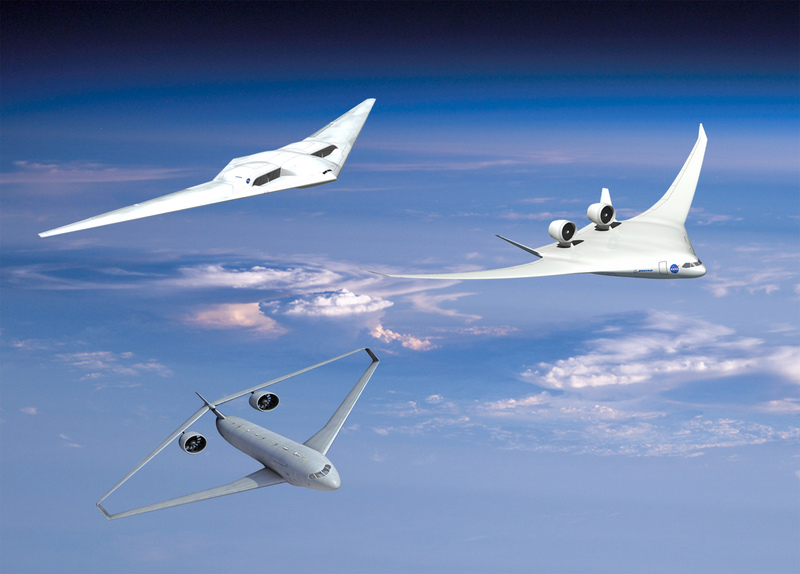 And, as only NASA can, we’re continuing to push the envelope of innovation that can transform the way we fly, such as making it possible to travel in a commercial aircraft at supersonic speeds over land or to have higher levels of automation and autonomy across the aviation system. All of this is designed to advance our commitment to a healthier planet and a better life for people everywhere. Those are really the underpinnings of everything we do at NASA. The world is changing fast. We all know it. If you’ve been around a few decades like me, you’ve seen new technologies snapped up and adopted so quickly that it’s hard to remember a time when taking a flight across the country was a big deal or we hadn’t yet walked on the moon. The same kind of thing is happening within modern flight. It’s really something of a Renaissance time in aviation when you look at all the things we’re working on and all the potential for breakthroughs. NASA will continue to be at the forefront of these innovations. But we must use our limited resources wisely to have the most impact possible. That’s what this new aeronautics vision will help us achieve. With confidence rooted in our historical contributions to aeronautics, and inspired by our new strategic vision, we at NASA take this opportunity during National Aerospace Week to pledge our continuing appreciation of and support to the aerospace industry. We’ll see you in the skies.